Creating strong business strategies and maintaining financial stability are important objectives for any chief financial officer at a corporation, but in the healthcare field, the role of a CFO goes beyond budgets. It's unique, multi-faceted and involves face-to-face contact with patients and medical staff. As one of the highest-ranking positions in any healthcare organization, the CFO must understand critically the system's operations in order to provide tools and processes to physicians so they can save lives, while at the same time ensuring the organization stays financially viable. 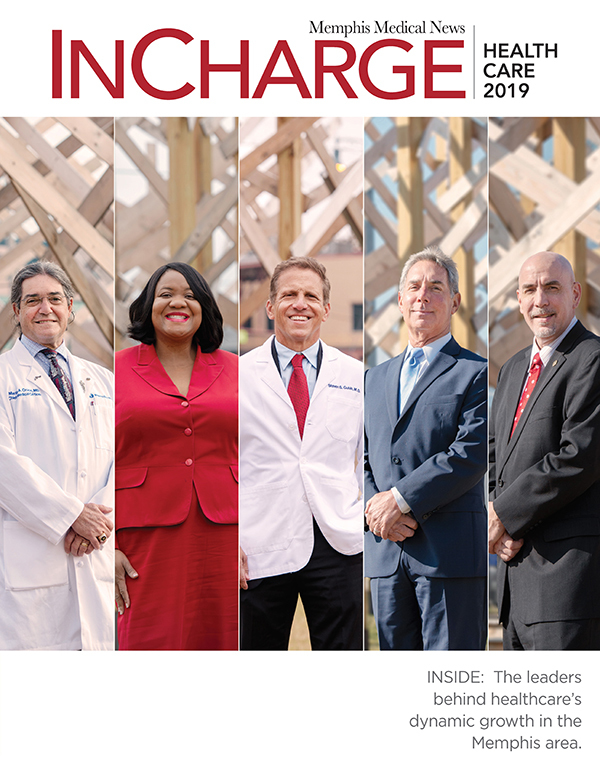 Last month, a group of five CFOs from various Mid-South healthcare organizations with drastically different financial structures sat down with Pamela Harris, publisher of Memphis Medical News, and discussed the budgeting challenges they face to ensure that their organizations run smoothly, as well as how their decisions directly affect patient care and medical staff. According to all five CFOs, their roles aren't about saying "no" to department budgets, but about coming up with creative strategies so all medical staff can perform their jobs to their maximum potential while achieving patient satisfaction, especially during financially lean times. Title, organizations - Chief Financial Officer and Senior Vice President, St. Jude Children's Research Hospital. Education - Bachelor of Science in Accounting from Arkansas State University and a Master's Degree in Healthcare Administration from Trinity University in San Antonio. Experience -With more than 25 years of experience in healthcare, Keel leads the financial strategy and management at St. Jude. She came to the hospital in 2016 to help launch a six-year strategic plan to expand clinical care and research programs worldwide. Prior to joining St. Jude, she served as CFO and senior vice president for University Health in Louisiana, and also served on Governor John Bell Edwards' Healthcare Transition Team. In 2015, 2016, and 2017 she was selected for Becker's Hospital Review list of "130 Women Hospital and Health System Leaders to Know." She has held leadership roles in operations and finance at Good Shepherd Health System in Texas and at CHRISTUS Health in Louisiana. All five CFOs agreed that direct interaction with patients makes a difference in how financial decisions are made in regard to patient care. In order to make informed decisions, many Mid-South hospital CFOs round with hospital staff regularly to get direct feedback from both patients and staff. rounds on a daily basis and follow up with the same patients on off-shift times. This has improved our patient satisfaction." According to Young, CFO with Baptist Medical Group, rounding is especially important for the CFO to observe how patients' needs are being met. She said the CFO must see how everything affects the patient so hospital leadership can keep in mind the ramifications of every financial decision, especially when budgets are tight. "Making clinical rounds changes your perspective," Young said. "You physically see patients fighting for their lives. It makes an impact emotionally. It's especially imperative during those times when budgets are tight and there's no more money." Additionally, Patterson, at Semmes Murphey, said it's important for the CFO to plan ahead for financial scenarios years in advance. "It's the clinician's job to fight for the patient; it's my job to create the structure so they can continue that fight," he said. "You must always be forward thinking and not just budget 'what's good for now.' You always have to be thinking five years down the road to be able to provide good patient care." "At the end of the day, it's all about the patient and doing what's right for them," he said. "We want to make decisions to be here today and tomorrow for patients. It's important to be an enabler for the patient and create sustainability." Title, organizations - Market Chief Financial Officer, Saint Francis Healthcare. Experience - In November 2017, Tina assumed the role of Market Chief Financial Officer for Saint Francis Healthcare. 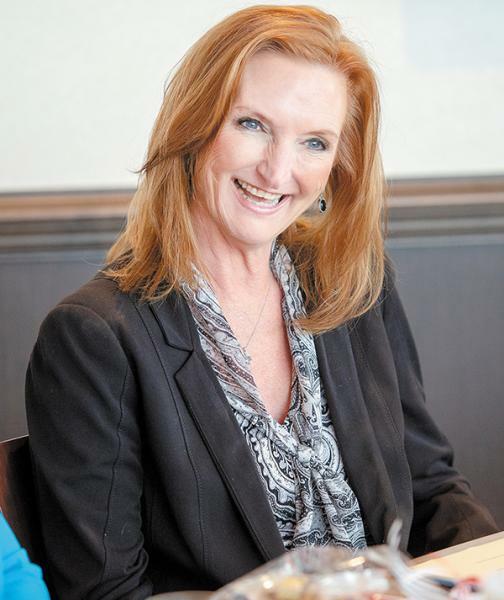 Prior to that, she had joined Saint Francis Hospital-Bartlett as CFO in 2010. Previous experience includes serving as Assistant Chief Financial Officer at Sierra Medical Center in El Paso, Texas. She also has worked in financial leadership roles at hospitals in Indiana and Louisiana. All five CFOs said their organizations have formal submission processes for planning budgets, but they agree that one-on-one direct contact with physicians and medical staff is critical to understanding their processes and procedures. "In addition to formal budget planning, we get real-time feedback when we do rounds and walk the corridors and hallways," Wagers said. "Physicians need what they need to perform their job in the operating room. It's imperative to enable them to be successful in saving lives." Patterson said he encourages physicians to become involved in making budget decisions and finding alternate solutions to problems. 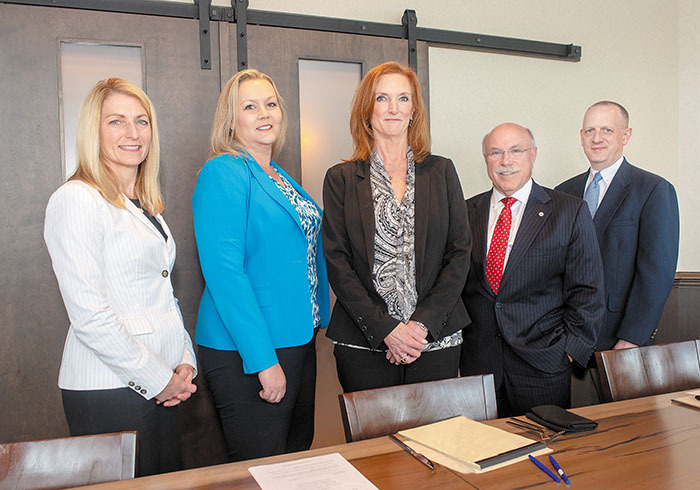 "My goal is to achieve the clinic's objectives with limited funds," said the Semmes Murphey CFO. "I try to teach others to become problem solvers. It's the CFO's job to say no, but it's also my job to encourage others to think about the problem and solution another way." According to Kovacs, Saint Francis establishes a five-year business plan before the budgeting process begins. The plan includes a list of what items the hospital needs, such as hospital equipment and service programs. The hospital employs hospital liaisons who directly interact with physicians to find out their needs. They relay those needs to the hospital system. 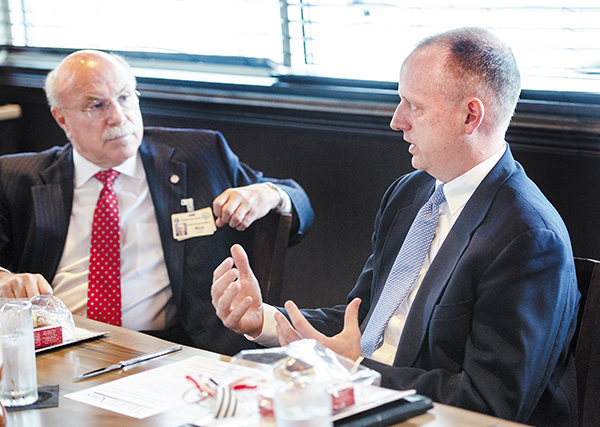 "It's the liaison's job to find out what the physicians need, whether it's new equipment or new procedural tools," Kovacs said. "It's all funneled to the CFO to build a business plan. After the plan is created, a budget is built." Additionally, Saint Francis has hospital committees that give feedback on budget requests. Kovacs said they consist of a mix of physicians and hospital staff. Individuals discuss whether the requested budget items are needed for the hospital system. BMG's Young said that even if a CFO has to say no to a "wish list" budgeting item, it's important for him or her to respond directly to the physician or department leader. This helps establish reliable relationships. "Ultimately, there isn't a drawer full of money," she said. "You must respond to clinicians and medical staff even when you have to say no. You have to explain why certain priorities are the way they are." 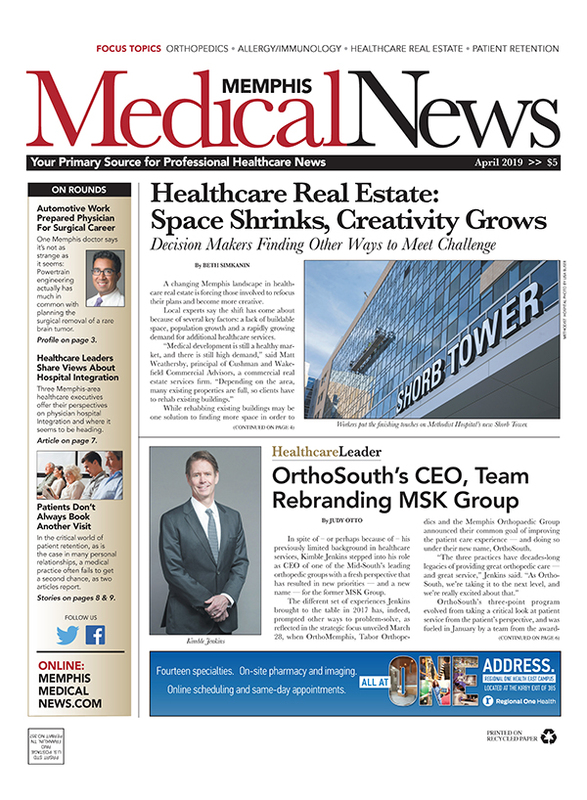 St. Jude's Keel said the hospital has a different budgeting scenario due to its six-year strategic plan for operational growth and research acceleration, which has support from the hospital CEO. "At St. Jude, it's a little different," she said. "The strategic plan helps prioritize needs and gives us a long-term road map. We meet quarterly to make sure everything is on track. Every department has a vested interest in maintaining a balance." Title, organizations- Rick Wagers, Senior Executive Vice President and Chief Financial Officer, Regional One Health. Education - BS with a major in accounting at Ball State University; MBA, with a concentration in Finance at Middle Tennessee University. Experience - Wagers has been involved in healthcare finance a total 44 years. He began his career serving as Assistant Controller for 4 years at Ball Memorial Hospital in Muncie, Indiana, before joining Vanderbilt University Medical Center, where he worked 32 years, including serving as CFO during the last 10. During the past 8 years he has been CFO at Regional One Health. Title, organizations- Chief Financial Officer - Semmes Murphey Clinic. Education - BBA in Accounting, Harding University. Experience - Brent began his healthcare career at Semmes Murphey Clinic in 2003 and has served in both the Controller and Chief Financial Officer roles for the past 15 years. Prior to arriving at Semmes Murphey, Brent's work was primarily focused on the manufacturing industry, as a Senior Accountant providing audit services for Ernst & Young before moving into a corporate finance role at Mueller Industries. Each healthcare system and/or clinic faces a variety of budgeting challenges, but all five CFOs said the challenges differ based on their organization's finance model. Regional One Health depends heavily on government assistance to operate its entire system. Wagers said the healthcare entity breaks even on its operational budget. Additionally, he said that since Regional One is the only level one trauma center within 150 miles, it must operate no matter the financial situation. "We exist on a shoestring budget for our level of indigent care," Wagers said. "Only 20 percent of our patients pay under contract or by health insurance. We wouldn't exist if not for the support from county, state and federal government. This situation creates a defined sum of money, and we must make ends meet with it." Wagers said that although there is no "rainy day fund" - the system operates with only about 100 days of cash on hand - Regional One is one of the few hospitals in the country without debt. On the flip side, Wagers acknowledged that Regional One has one of the oldest campuses in the downtown area and needs renovation. "Our campus is in need of an upgrade," he said. "We need community buy-in to replace and upgrade buildings. Currently, we have a development plan, but although we don't have any debt, we lack the funding for an upgrade." Patterson said Semmes Murphey is focusing on cyber security due to the adoption of electronic medical heath records in the healthcare field. "There has been an explosion of healthcare data, and we must protect it," he said. "It's our job to protect this patient data. Environments and threats change on a daily basis in the technology world. We must balance the treatment of that data in the budgeting process." Kovacs said that since Tenet Healthcare, which owns Saint Francis' two area hospitals, is a national, for-profit corporation, shareholders influence the budgeting process. "We must take care of both consumers and shareholders, so our numbers look nothing like they do when we start the budgeting process," she said. "There is so much input from the outside." The polar opposite of Saint Francis' financial structure is St. Jude. The hospital heavily relies on private donors. "Our budget is dependent on our 10 million donors, and we have no contracts with them," Keel said. "There is no funding model. We balance that with grants and insurance. There isn't an unlimited bank. We have to always think, 'Would a donor approve of how we spend our money?'" Additionally, Keel said St. Jude treats children from 48 states with different Medicaid plans, so the hospital accepts every payer network in the U.S."The work that is done to keep that current is massive," she said. Title, organizations - Chief Financial Officer, Baptist Medical Group. Education - BBA, MBA in Finance, University of Memphis (formerly Memphis State University). Experience - 27.5 years Healthcare Finance experience all with Baptist Memorial Health Care Corporation. Her experience spans Corporate Finance, Managed Care Finance, CFO for 5 Hospitals and CFO for Baptist Medical Group (approx. 780 providers). There are only a select number of hospitals in the Mid-South where donations and fundraising efforts directly impact the hospital's bottom line. One of the most nationally known Mid-South hospitals is St. Jude. 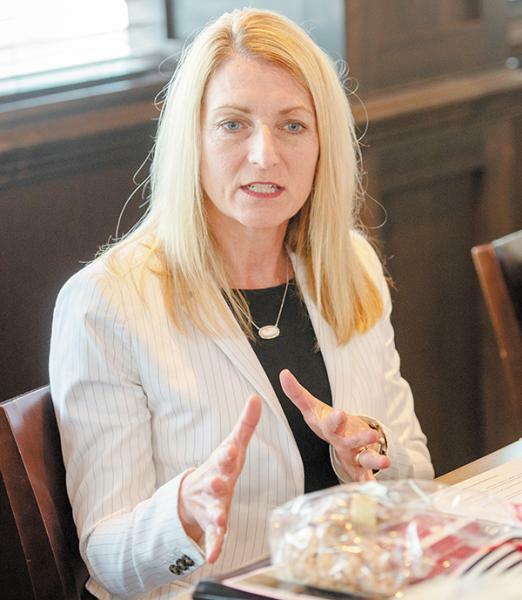 Keel said donations make up such a large portion of the hospital's budget that her staff must plan for unplanned scenarios in case they don't meet their fundraising objectives. According to St. Jude's website, 75 percent of the funds necessary to sustain and grow the hospital must be raised each year from donors. 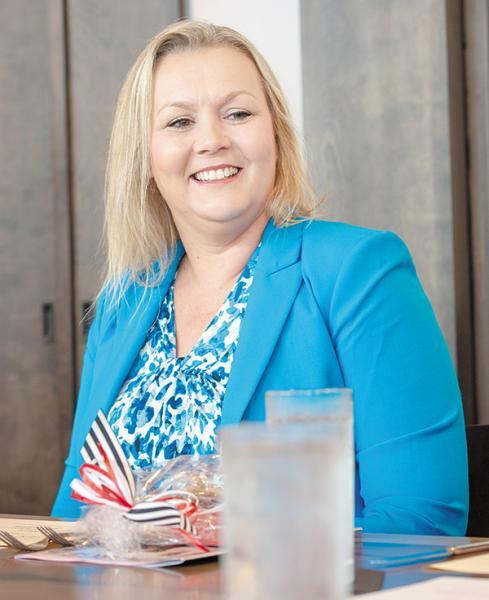 Additionally, Keel said St. Jude has to prepare financially for situations that she never envisioned in her long-standing career in healthcare. "You have to make sure that donations and fundraisers don't create a conflict of interest," she said. "Also, we have 55,000 people visit our facility each year, and you have to plan financially for the security. It's mind boggling sometimes."